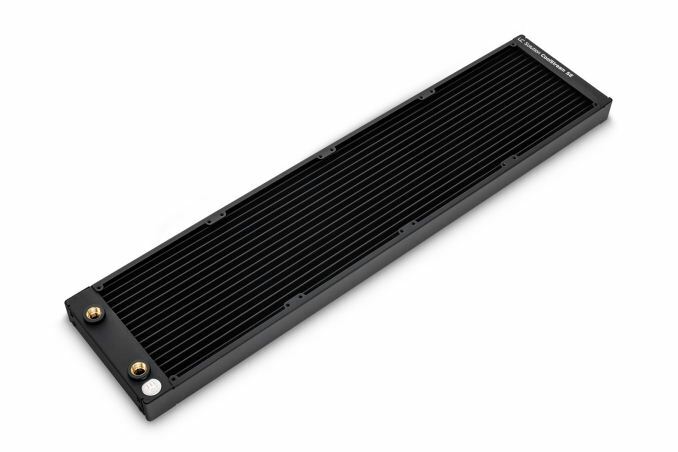 EKWB has completed its 140mm slim radiator lineup releasing two additional SKUs, the EK-Coolstream SE 420 and EK-Coolstream SE 560. These new radiators come on the heels of the recently released 140 and 280mm CoolStream SE radiators about a month ago. 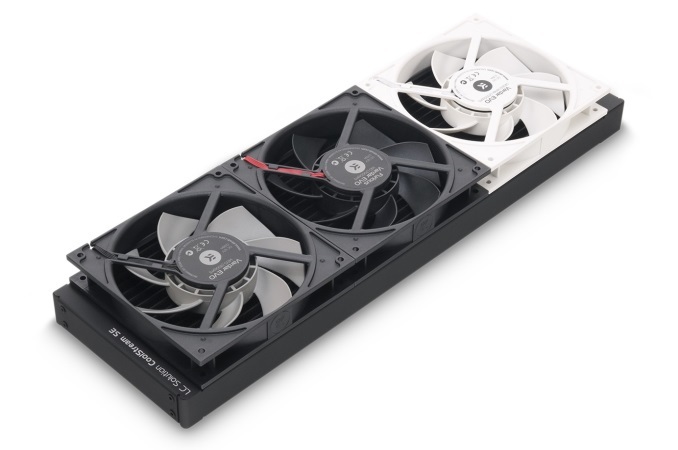 Both radiators utilize 140mm fans; 3x140mm on the SE 420 and 4x140mm on the SE 560. The two larger devices carry over the same slim dimensions with zero overhang of the radiator frame measuring in at exactly 140mm wide. The frame matching the exact fan size can help with compatibility in some tight fitting applications. Outside of being able to wear skinny jeans, the radiators have a matte black finish on the aluminum/steel housing. Other aesthetic features include the name of the product in white lettering, while down at the bottom by the ports is the dime-size EWre symbol. The inside of the radiator is made of brass ensuring a mixed metal-free environment. The SE lineup uses parallel flow cooling chambers which are said to reduce hydraulic flow resistance. 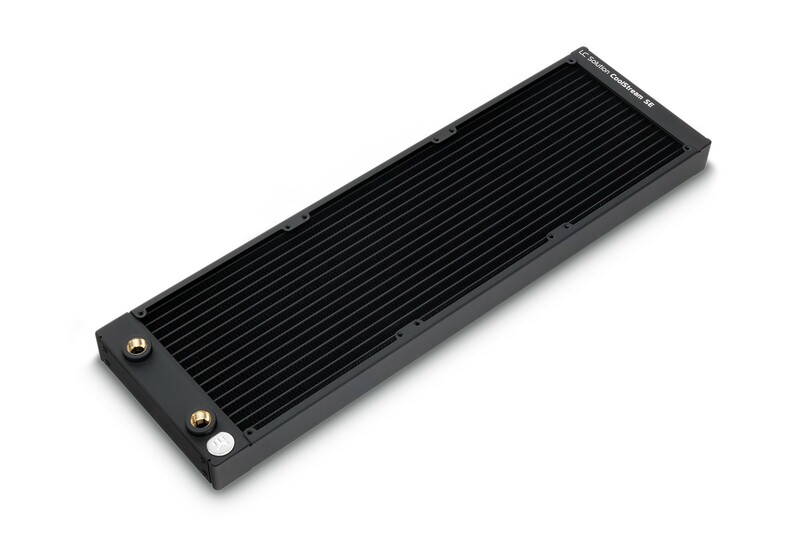 All Coolstream SE radiators use a 22 GPU fin density as well as standard G1/4” ports. The overall dimensions of the 420 SE measure (L)460 x (W)140 x (H)28mm (18.1” x 5.5” x 1.1”) and weighs 1.58kg(~3.5lbs). The 560 SE is (L)600 x (W)140 x (H)28mm (23.6” x 5.5” x 1.1”) weighing 1.93kg. 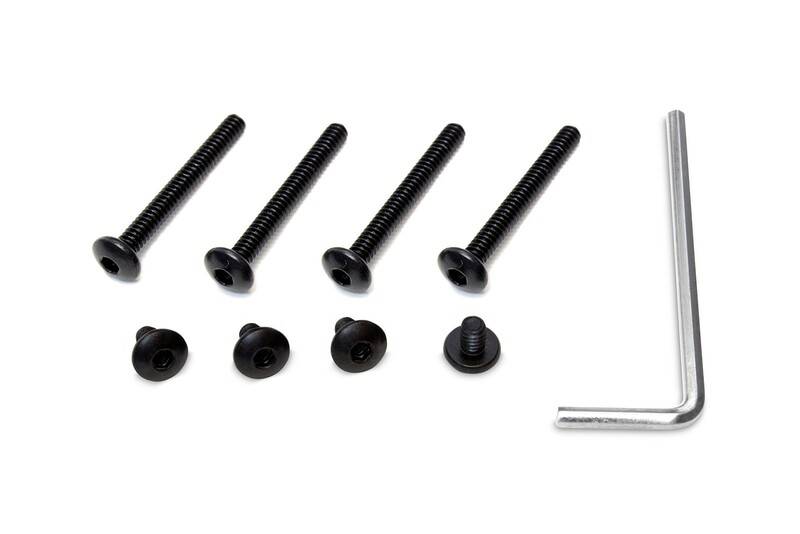 The fan mount thread type is UNC 6-32 and will fit any standard size 140 x 140 x 25mm fan. Included is the radiator with two pre-installed G1/4” extenders, flat-head UNC 6-32 screws (30mm and 5mm) as well as a 2.5nn Allen key. Fans are sold separately. Both the EK-CoolStream SE 140 and CoolStream SE 280 are available now for purchase through the WK Webshop and their Partner Reseller Network. I agree. I tried some in-line thermal probes because of this and after dealing with them a few times, I will never use one again.